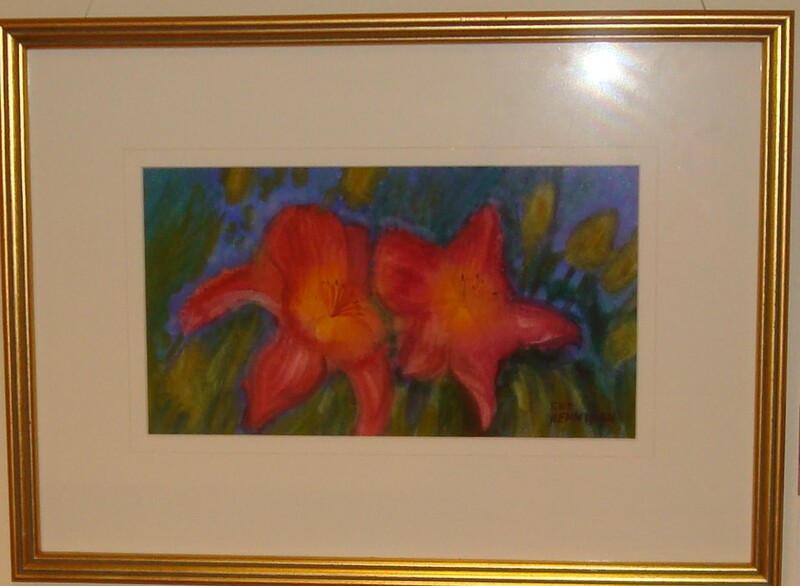 Lillies is a watercolor I did using color saturation technique. Nice vivid color. It is framed in my favorite “go to” wood gold tone frame. 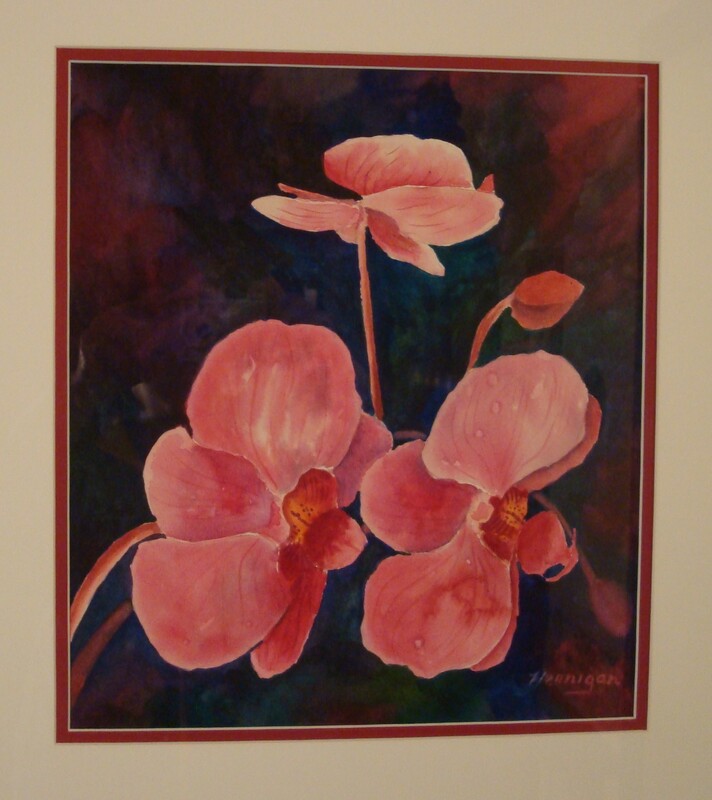 Sorry about the flashback from the photo…..maybe one day I will remember to photo my work before it goes under glass. 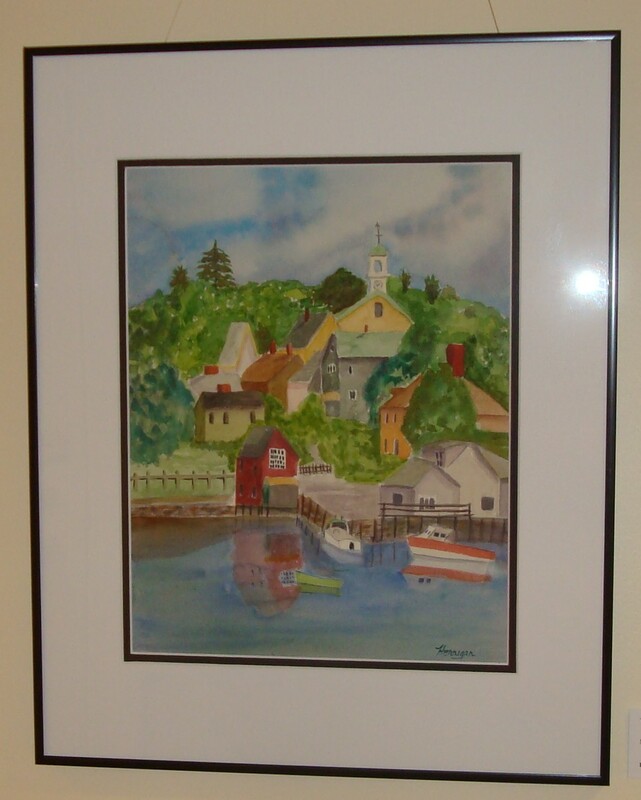 This painting was painted Plein Air from Pierce Island in Portsmouth NH. I painted Grandma’s Favorite Teacup from my mom’s teacup collection and now my darling daughter has this watercolor hanging in her own apartment. My mom collected teacups, I collect dust! Magnolia is a little ditty I painted a while back that my husband likes. I have to say it is one of my favs too. Both looking down into a river bed. I love the purple & violet background. Reminds me of winter. 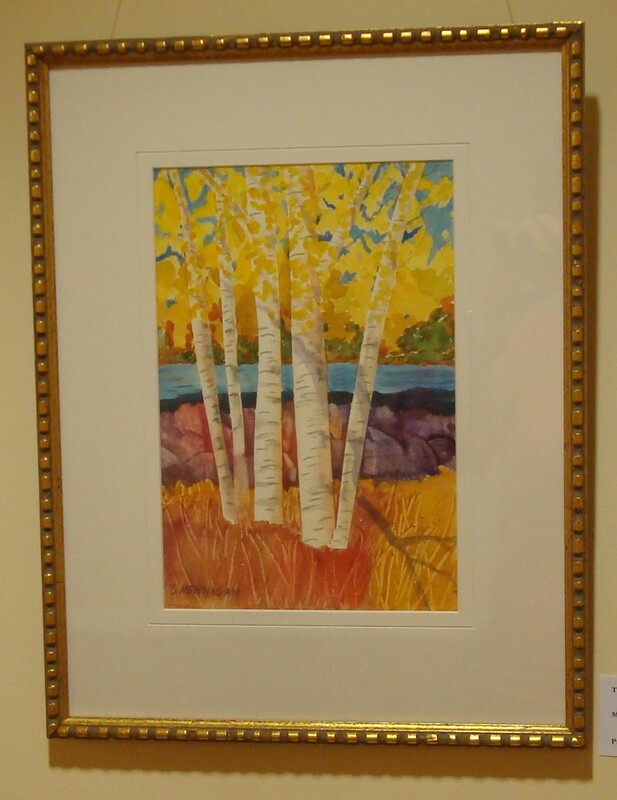 Birch Tree at River”s Edge is a watercolor now framed in the coolest vintage molding that my frame guy had. I love it. 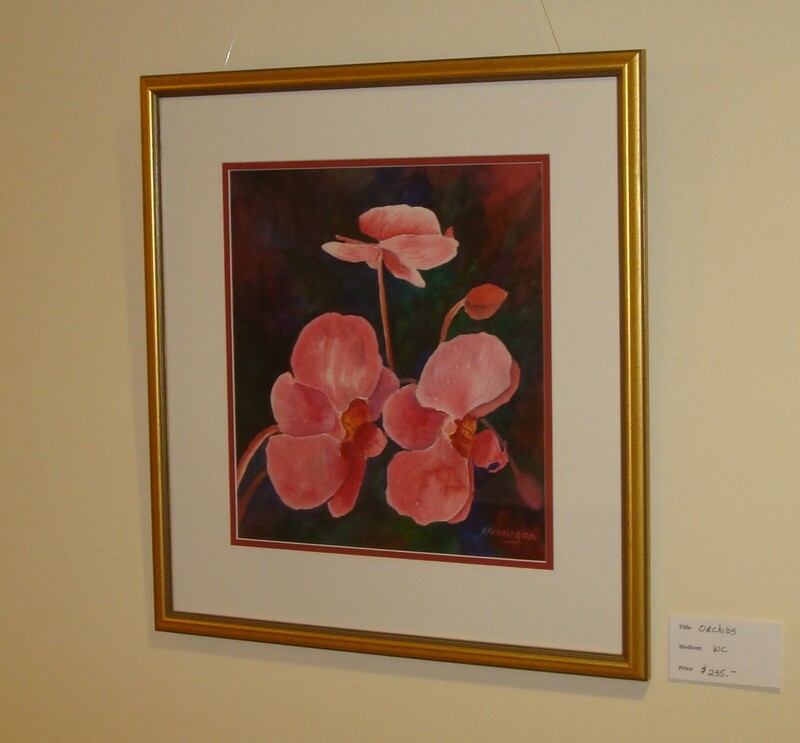 Its hard to get a picture of the painting once it is framed behind glass . Reflections can get beastly, but I managed to not get any in this view. Yeah!! Like Susan Hennigan on Facebook! 11 days of finding myself and also, the closest bathroom.